Have a look at this Sega Game Gear eBay auction if you will, and you'll discover a pretty amazing opportunity to start collecting for Sega's impressive 8-bit handheld. 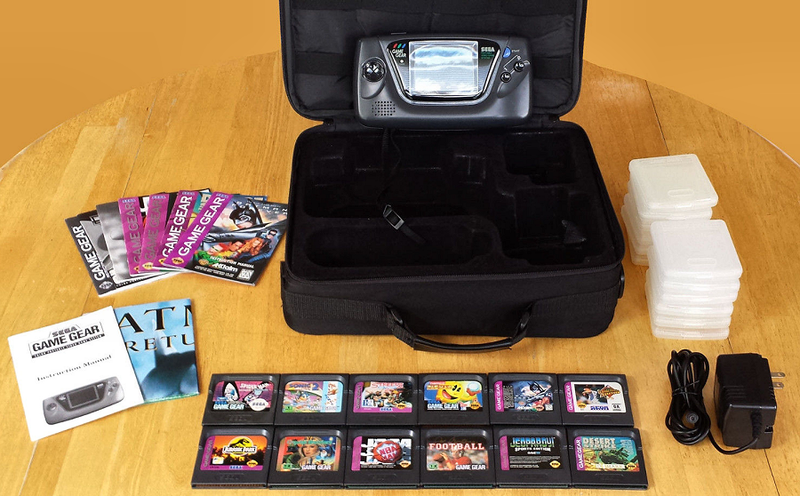 The console has been fully refurbished and operates like new, and comes with the Sega Deluxe Carrying Case, manual, power adapter, and 12 games (mostly with manuals). The games include: Sonic 2, Streets of Rage 2, NBA Jam, Pac-Man and Desert Strike.